What would you call a situation in which you could not only get rid of your food waste but also get earthy smelling, nutrient-rich organic compost for your garden? A win-win situation, right? Ever walk into your kitchen to be assailed by the stink of your garbage, despite getting rid of it on a regular basis? Why not put all those awful smelling kitchen scraps to some good use? You would not only be clearing out your kitchen and getting a rich fertilizer in return; you would also be helping the environment. How, you ask? Simple, you get some worms to do it for you! 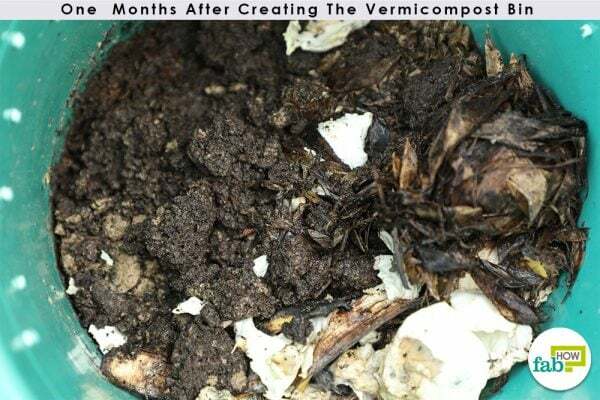 So, you can see why vermicomposting plays an important role in improving the yield and growth of different crops and plants like vegetables, fruits, and flowers. 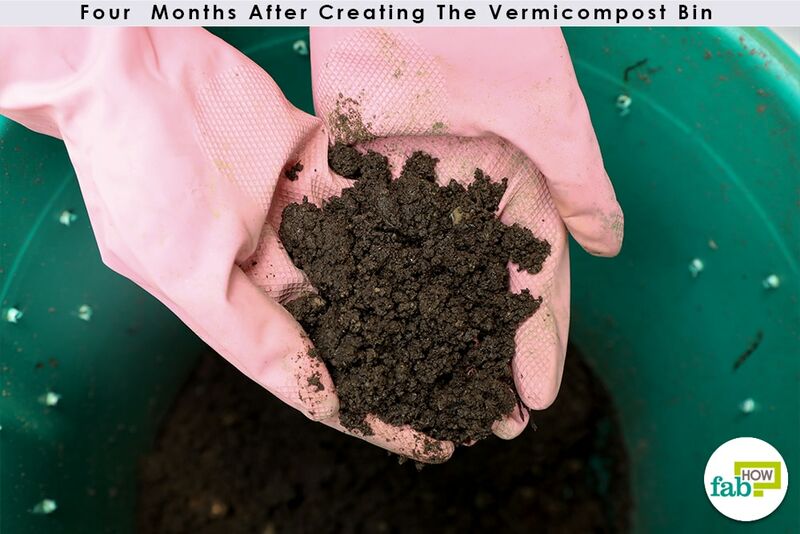 Vermicomposting not only provides nutrients and growth-inducing hormones to the plants, but it also improves the soil structure by increasing the; rather the nutrient-holding capacity of the soil. Preparing a vermicomposting bin is super easy. All you need is an aerated container, some moist bedding and, of course, the Eisenia foetida a.k.a “red wigglers or red wrigglers” or Lumbricus rubellus a.k.a “red worms.” It’s like having your own tiny worm farm. Vermicomposting is quite inexpensive and very easy to maintain. The vermicomposting bin can be placed indoors because you don’t want the worms to freeze in the winter or get too warm in the summer. If you prefer to put your bin outside, just be sure it doesn’t get too hot or too cold. The compost does not smell; rather it is the rotten food that the worms haven’t eaten that stinks. And that only happens if you feed the worms more than they can process. 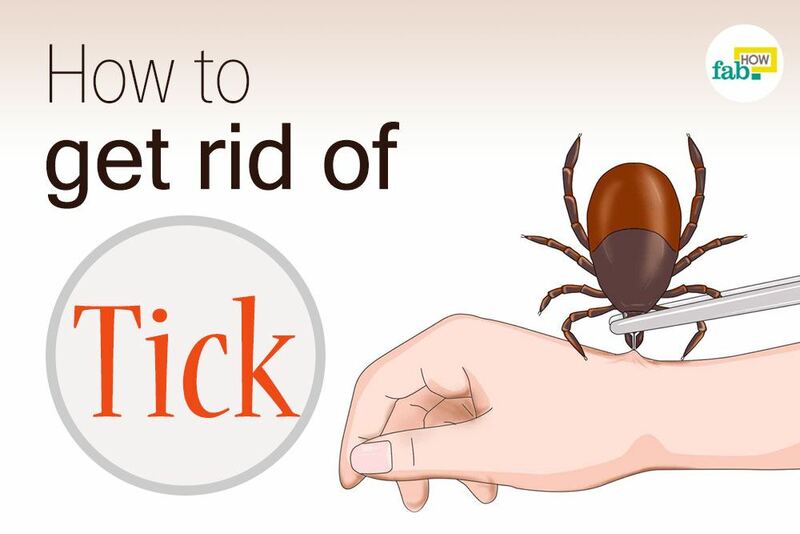 So, it is best to feed the worms small amounts once a week. Organic waste – Vegetable waste, fruit peels, coffee grounds, leaves, etc. 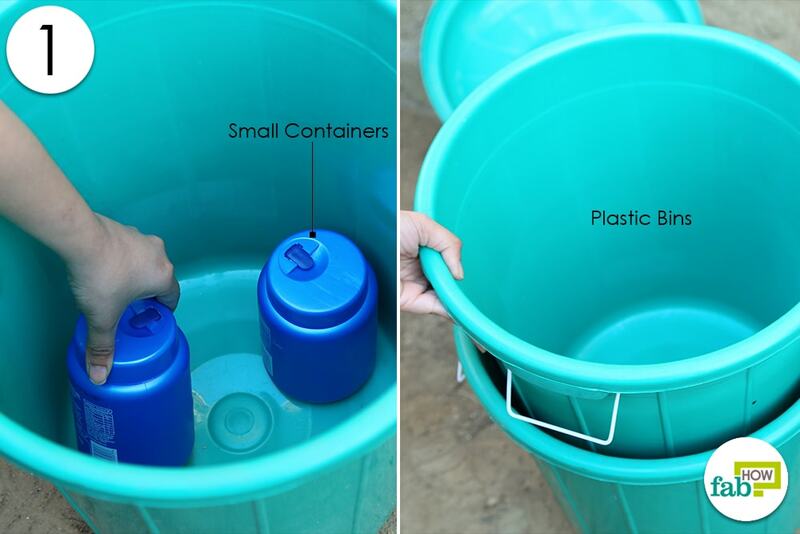 Place 2 small containers in the bottom of the first bin. Stack the second bin inside it, sitting on those containers. The small containers in the bottom of the first bin serve as spacers. They can be any size, provided they create enough space between the two bins that water can seep out of the top bin into the bottom one. 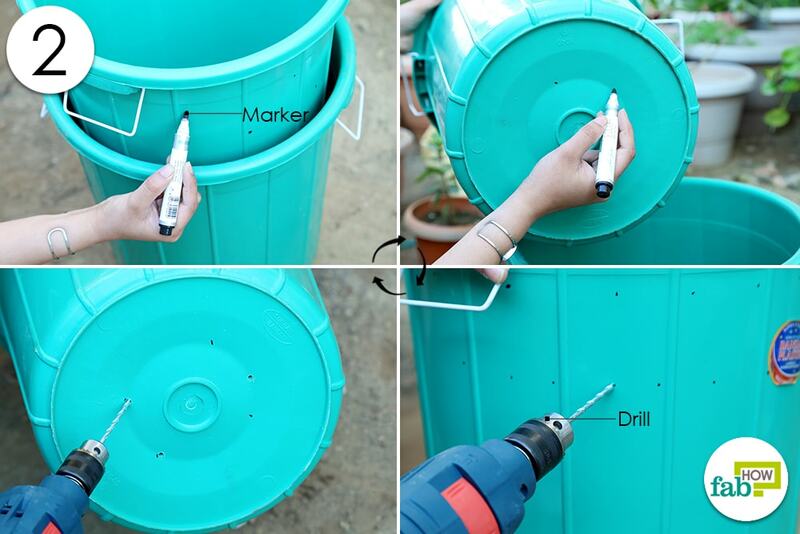 Remove the top bin so that you can drill holes in it for air and drainage. Put marks with a permanent marker around the upper portion. Make sure the marks are above the top rim of the lower bin to let in air. You will want them to be approx 2-3" apart and two rows high. Put marks with a permanent marker around the bottom of the bin 2-3" apart, so that excess moisture can drain out into the lower bin when the two are nested together. Drill ¼" holes where you made the marks using ¼" drill bit. If you don’t have a drill, you can use a thick nail and hammer to make the holes with some extra care. The holes drilled at the top of the bin are so that the worms can breathe. The holes at the bottom of the bin are so that excess water can drain out of the compost into the lower bin. All the holes have to be small enough so that the worms do not wiggle out. Spray some water on the shredded newspaper, so it’s moist but not dripping wet. Put it in the bottom of the bin that has the holes in it. Add some coconut coir. Coconut coir comes from the inner shell of coconuts and is available at garden stores or online. Coir is easiest to work with if you soak it in warm water for 30 minutes before use. Squeeze out all the excess water before placing it in your bin. Add some dried leaves and other garden waste. Worms breathe through their skin, so they need a moist atmosphere to thrive. If their skin dries out, they will die. So, the bedding needs to absorb and retain water. But again, it shouldn’t be wet, just moist. At this point, your prepared bin should be sitting inside of the lower bin which has no holes in it, and on top of the small containers which are used as spacers between the upper and lower bins. Add some soil to the prepared bedding. Add the worms to it. Throw in some kitchen waste. Put the lid on the bin. Your vermicomposting bin is now up and ready. All you need to do is maintain the bin regularly and keep feeding the worms your kitchen scraps. The major part of your job regarding vermicomposting is done. All you need to do now is maintain the bin and the worms. 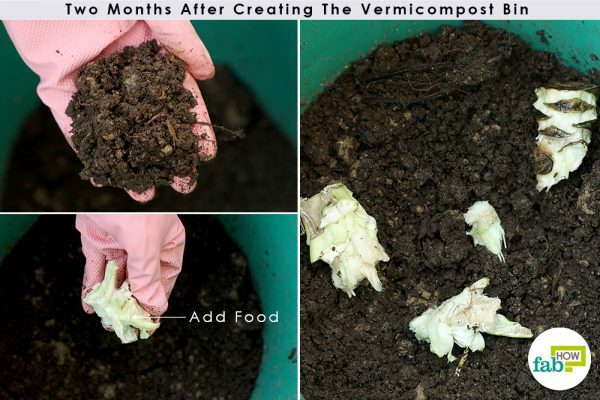 Taking care of a vermicomposting bin is quite easy. You just need to check it every few days. You have to make sure that there’s more bedding than worms and that the bedding is moist – remember the bedding should not be wet or dry but should be kept moist. Worms normally eat half their weight every day; so if you have 1 pound of worms, they will eat approximately ½ pound of scraps in one day. Do not overfeed the worms, or you will end up with a smelly bin. One month after creating the vermicomposting bin, you will notice that the bedding has broken down partially and reduced in bulk. Everything (except for the recent additions) should look a bit brown and squishy, but it should not be black and mushy. Mold may grow, which would look something in between white and gray; don’t worry, it’s quite normal. Two months after you created the vermicomposting bin, you will see that almost all of the original bedding has been decomposed, though not finely. Make sure that the compost is neither dry or too wet. If you notice it getting dry, spray some water on the compost and mix it gently with your hands. If the compost is wet, you need to drain out the excess water. Caution: If you decide to use this liquid (compost leachate), never use it on plants intended for human consumption as there may be harmful bacteria in it. Additionally, you should discard the leachate if it is at all stinky. Also, the smell of your vermicomposting bin by now should be like that of the earth in a forest, the kind of damp leafy smell. After four months, the vermicompost is ready to harvest. There should be none of your original bedding left in the bin by now. Everything is now brown and consists of mostly the worm compost. You can harvest worm castings anytime between two and six months, depending on how many worms you have and how much you have fed them. 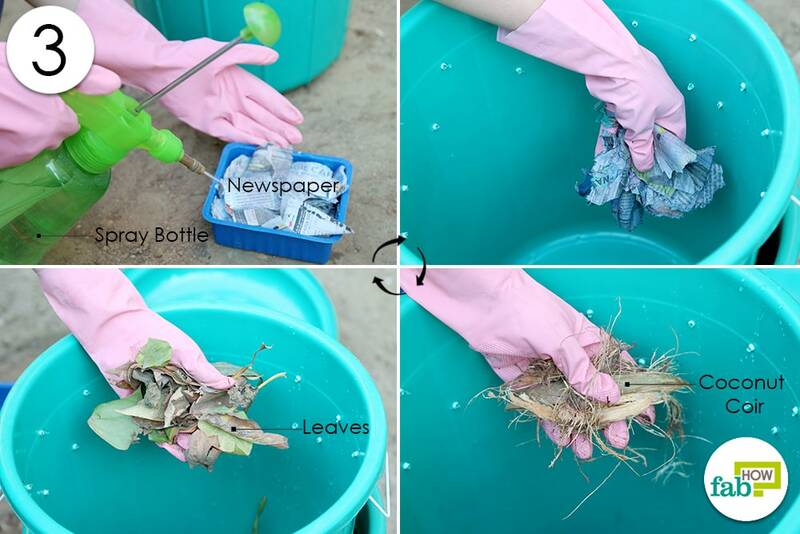 For harvesting, if you have time and patience, you can take a handful of material from the bin and pick out the unfinished food scraps and the worms themselves. You can set the finished compost aside. You have to be careful that you do not remove any worms during the process. You can also drain out the water that has seeped from the compost and use it for your garden with caution as mentioned above. A trick to quickly and easily harvest the castings would be to push the contents of the bin to one side and add fresh food and bedding material for the worms in the other side of the bin. Close the lid and leave it for a week. After a week, you will notice that the worms have migrated to the side of the bin where there are fresh scraps and bedding for them. 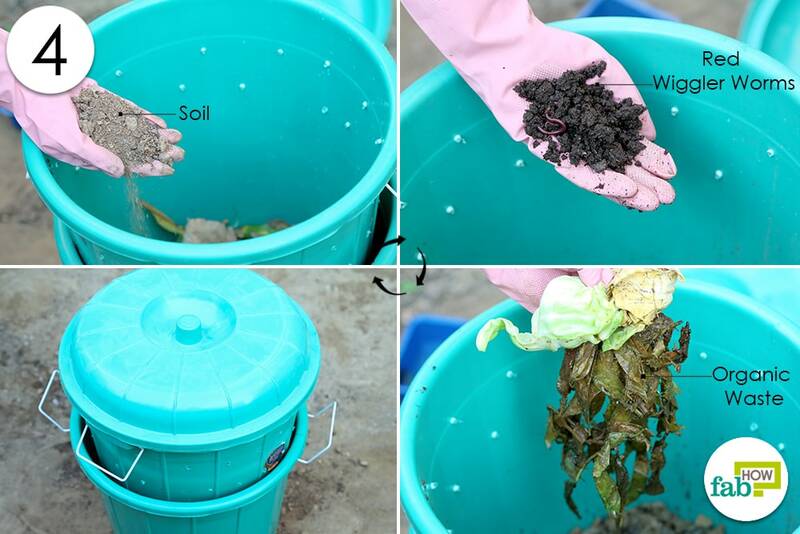 You can now easily remove the worm castings from the bin, then spread out the remaining contents in the bin. Once you have removed the compost, add more fresh food for the worms and close the bin. Always wear gloves while working in the vermicomposting bin. If the contents of the vermicomposting bin are black and mushy and are not composting, you are likely overfeeding the worms. It could also be because the temperature is too low (between 15°F and 25°F), which causes the worms to go into hibernation and stop eating. In this case, you need to move the bin to a place with an ideal temperature for the worms. The vermicompost bin needs to be in an area with temperatures between 50°and 80°F and also away from direct sunlight. If the moisture content of the bin is high, add more shredded newspaper. The newspaper will soak up the excess moisture. Bedding is what the worms like to live in. It can be made of newspaper, shredded printing paper, peat moss, coconut coir fiber, wood shavings, etc. The worms crawl into this bedding when they are not eating. You can also put used paper towels, paper plates, shredded junk mail as bedding material as long as it isn’t contaminated with oils or harsh detergents. You can feed the worms fruit and vegetable peels, finely crushed eggshells, tea bags, and coffee grounds. Do not feed them meat scraps, bones, fish, leftover dairy products or oily food. These will make your compost pile smell and, hence, attract flies and rodents. If the worms are trying to crawl out of the bin, it could be because the bedding is too acidic, which is forcing them to migrate. Try reducing the amount of acidic organic food like orange peels that you put in the bin. Citrus peels don’t break down very easily either. To prevent fruit flies, bury the food waste and don’t overload the worms with too much food. You can also wrap the scraps in a newspaper before putting it in the bin. The flies will not be able to lay eggs on the rotting vegetable matter if it’s wrapped in newspaper. Though the bin may require extra water to make up for the dry paper. 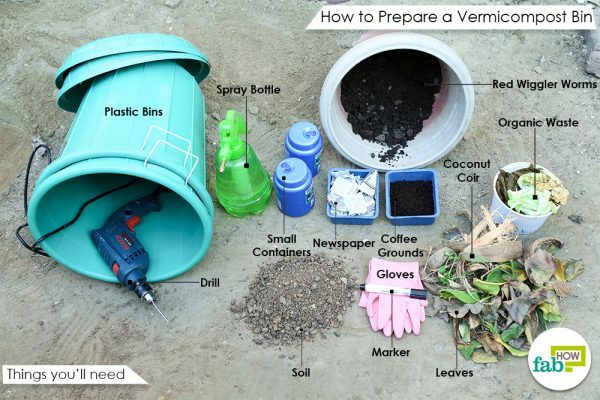 The bin you use for vermicomposting can be almost anything ranging from plastic trash cans, buckets, wine crates, old plastic storage tubs, or even drawers from discarded furniture. The bin needs to be somewhat shallow and needs to have ventilation on the sides and the bottom. Also, a lid to keep the predators out and the worms in. If possible, set up your bin two days before adding the worms. This will allow the moisture level to reach equilibrium and the food waste will also start to break down. The worms do not eat the food scraps but thrive on the microbes that feed on the decomposing food scraps. Worms take a day or two to settle in their new home. You may place the bin under a porch light for the first night to prevent the worms from escaping. Red wigglers (Eisenia fetida) and red earthworms (Lumbricus rubellus) are the best types of worms for a vermicomposting bin, as they prefer a compost atmosphere to plain soil. They are also fairly easy to keep. 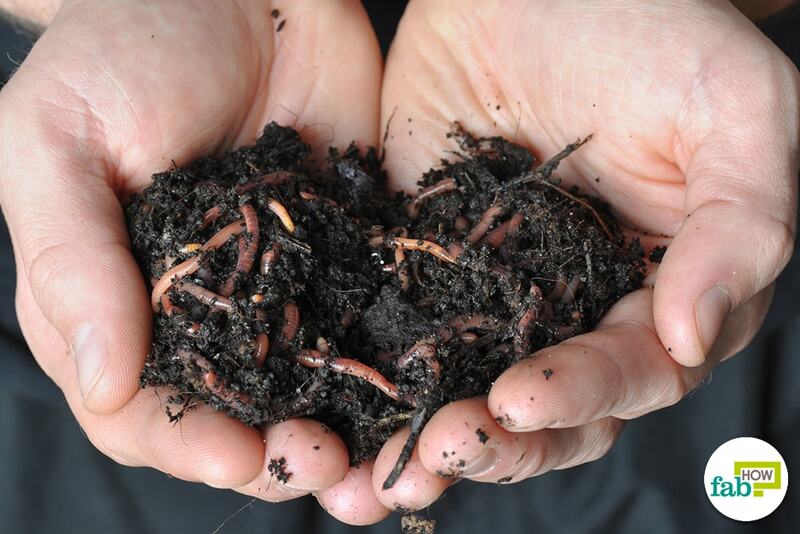 Worms feeding on organic waste, compost, and organic bedding have more rich casting than the ones that feed on plain soil. Worms can double their population every 90 days if they have adequate food and a good home. If you want to make your worms feel at home, you can dig down to about the middle of the bedding and put the worms there instead of simply leaving them on the top of your prepared bedding. 1. Worm Tower Worm Leachate - Worm Farming Secrets. https://www.wormfarmingsecrets.com/worm-composting-tea/worm-tower-worm-leachate/. I just started composting but this gives it a whole new spin. Great article, great visuals. Thank you for your kind words. We hope your compost turns out great. If you have any suggestions from your personal experience about composting, do share it with our readers.